In 1735, the Irish Parliament passed an Act for 'erecting a workhouse in the city of Cork for employing an maintaining the poor, punishing vagabonds and providing for and educating foundling children. This scheme was funded by a tax of a shilling per ton on all coal and anthracite imported into Cork. A Board of Governors was set up in 1736 to administer the scheme and the following year found a suitable site on Watercourse Road (now occupied by Murphy's Brewery at the junction of Leitrim St, Watercourse Road and Upper John Street), although building did not begin until 1743. Eventually opening in 1747, the new institution was only ever used a foundling hospital rather than the combined workhouse and foundling hospital originally envisaged. Co. Cork: Ballincollig, Blarney, Carnavar, Carrigaline (2), City of Cork (20), Cove (3), Glanmire (2), Grehagh (2), Inniscarra, Inniskenny (2), Kilquane, Monkstown (2), Rathcoony, Whitechurch. Later Additions: Ballygarvan, Ballynaglogh, Bishopstown, Blackpool, Blackrock, Caherlag, Carrignavar, Carrigrohane Beg, Douglas, Dripsey, Dunderrow, Firmount, Glenville, Greenfort, Killeagh, Knockantota, Knockraha, Lahenagh, Matehy, Ovens, Queenstown, Riverstown, St Mary's. The Board also included 13 ex-officio Guardians, making a total of 53. The Guardians had their first meeting at the board room in the existing House of Industry on 4th June, 1839. The Board subsequently met each week on Thursday. The population falling within the Union at the 1831 census had been 158,339 with divisions ranging in size from Blarney (population 2,516) to the City of Cork itself (95,363). The setting up of the new Cork Union was supervised by Assistant Poor Law Commissioner William Voules. 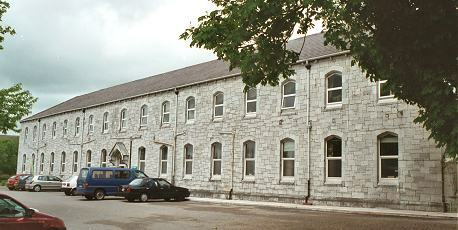 Voules reported that the existing House of Industry and Foundling Hospital premises would unsuitable for use by the Union and initially proposed the use of an army barracks several miles to the west of Cork at Ballincollig. 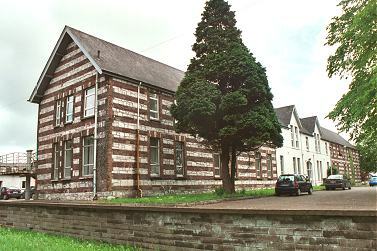 However, it was instead decided to locate the new union workhouse on a twelve-acre site on Douglas Road at the south-east of Cork. In the interim, the old House of Industry was adapted as a temporary workhouse for the union. It was declared fit for the reception of paupers on 15th February 1840, and registered its first admissions two weeks later on the 1st March. Voules' investigation of the operation of of the Foundling Hospital and House of Industry revealed a catalogue of financial mismanagement and administrative chaos. The post of "Nurse Payer" which, Voules estimated, amounted to three days work a year, received a salary of £40. Between forty and fifty paupers entered the House just before the annual distribution of clothes to the inmates then discharged themselves shortly after, taking the new clothes with them. Not surprisingly the House was more than £5,000 in debt. While the union workhouse was being erected, the new system's rules were introduced into the House of Industry. The move which caused uproar amongst the existing residents who felt that it was cruel to expect them to work without payment, and that unpaid workers should receive a better diet than the one they were being given. As a result, more than fifty of them left the workhouse, with more expected to follow when the weather improved. The new workhouse, designed by the Poor Law Commissioners' architect George Wilkinson, was based on one of his standard plans to accommodate 2,600 inmates. Its construction in 1840-41 cost £12,800 plus £8,000 for fittings etc. It was opened on 23rd December 1841 and soon afterwards, more than 1,900 inmates were transferred from the old House of Industry. The new workhouse's location and original layout are shown on the 1841 map below. The original buildings, at the southern end of the site, broadly followed Wilkinson's typical layout. An entrance block which may have included the Guardians' board room stood at the north. The main accommodation block, now demolished, had the Master's quarters at the centre, with male and female wings to each side. 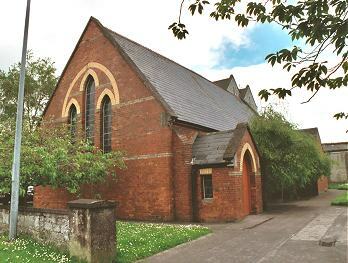 At the rear, a cross-range of single-storey utility rooms such as bakehouse and washhouse connected via the central dining-hall and chapel to the original infirmary and idiots' wards. The buildings were later much extended as shown on the 1899 map below. A large three-storey block, perhaps for housing children, was added at the north of the site. According to the 1899 map, its western end contained school rooms. A central archway in this building was the main entrance to the site. At around the same period, a separate school block was erected at the north-west corner of the site. The fever hospital was located between the two school blocks. During the famine in the mid-1840s, an enormous amount of extra accommodation was required. Parts of the old House of Industry were hired to hold 800 inmates. Basic accommodation for a further 2,450 was provided in sheds etc. In 1895, Cork was visited by a "commission" from the British Medical Journal investigating conditions in Irish workhouse infirmaries. Their report found that Cork generally compared favourably with other establishments of a similar size. However, overcrowding was observed in most of the adult wards, and the numbers of trained nurses was judged inadequate; the nursing staff was being supplemented by a number of "deputies" — pauper inmates who received extra privileges for their work. The commission also recommended that several of the older buildings should be replaced. Further details are available in the full report. From 1924, the workhouse site was redesignated partly as a County Home for the elderly and infirm, and partly as a District Hospital. A report in 1927, criticised the lack of demarcation on the site between these two functions, for example one building housed the female infirm on its lower floor while medical cases were placed in the upper wards. At the same date, the Home also housed 141 lunatics, idiots, and imbeciles, 23 unmarried mothers and 55 children, and a small number of casuals — none of these classes was intended to be provided for. 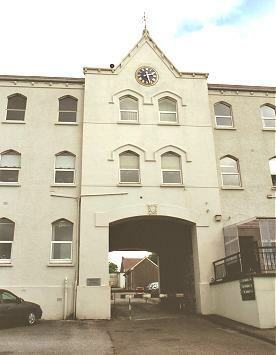 The former workhouse site is now the home of St Finbarr's Hospital which provides a number of special purpose medical facilities. 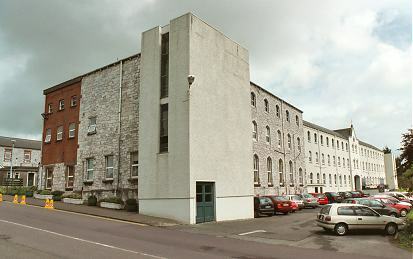 Cork City and County Archives, 33a Great William O'Brien Street, Blackpool, Cork. Holdings include: Guardians' Minutes (1839-1924); Indoor Relief Registers (1840-1920); Indexes to Indoor Relief Registers (1853-1921); Indoor Relief List (1924-1925); Record of Death Books (1853-1931); Register of Deaths (1884-86); etc. Cork Archives has produced a very useful detailed catalogue of its holdings.